The mood was celebratory but also serious at last night’s Turner Prize Award dinner in the Tate Britain’s Duveen Galleries. This was appropriate given the content of one of the most overtly political Turner shortlist exhibitions in recent memory which covered issues ranging from police brutality (Forensic Architecture and Luke Willis-Thompson) to queer identity (Charlotte Prodger) and post colonial power struggles (Naeem Mohaiemen) – to name but a few. The dinner was also set against a backdrop of a tumultuous day in British Parliament, with Theresa May suffering three Brexit defeats in the Commons and the government being found in contempt of Parliament for refusing to publish the full details of its legal advice on the deal with the European Union. Then there was the additional news of the arrest in Cuba of Tania Bruguera, who has created Tate Modern’s current Turbine Hall commission, after the artist attempted to stage a protest against a controversial new law - Decree 349 - which allows the Cuban government to shut down concerts, galleries and art and book sales if they feature prohibited subjects. Although released shortly after her arrest on 3 December, Bruguera has vowed to keep up her protest at the Cuban Ministry of Culture and, if re-arrested, to go on hunger strike. In keeping with evening’s sense of political engagement, the prize was presented by Nigerian author Chimamanda Ngozi Adichie, who just the day before had been in conversation with Michelle Obama at London’s Royal Festival Hall. 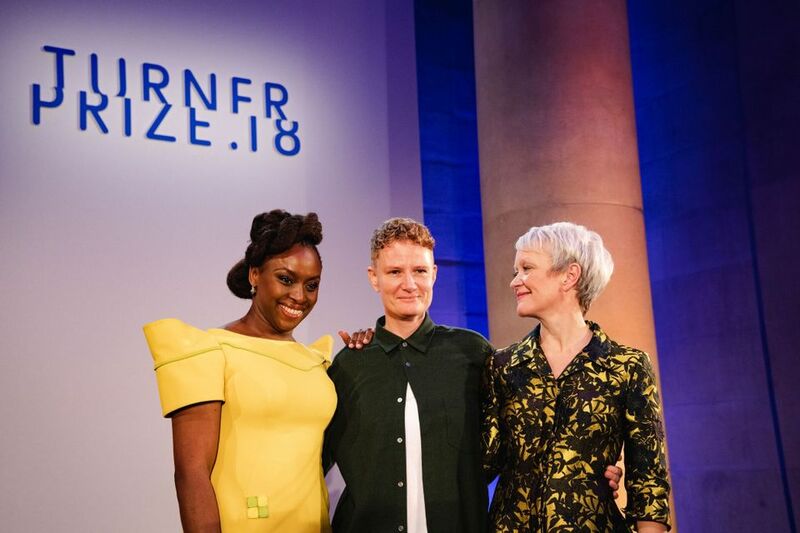 Ngozi Adiche declared that “the power of art to convey ideas is unique... we must ensure that those ideas are diverse, freely expressed and accessible to all" before she awarded the prize to Charlotte Prodger. In her acceptance speech, Prodger also spoke in support of arts education and funding. "I wouldn't be in this room were it not for the public funding that I received from Scotland for free higher education, and then later in the form of artist bursaries and grants to support not only the production of work but also living costs," she said.